Fly and Fin: Don Bastian is offering a second classic wet tying class. Don Bastian is offering a second classic wet tying class. 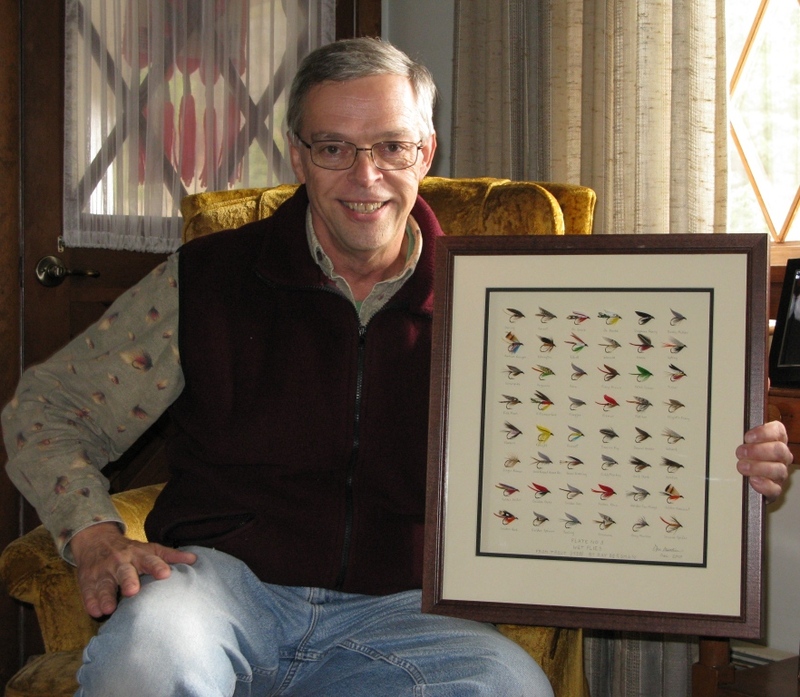 Back in December I posted that Don Bastian is hosting a Classic Wet Flies Fly Tying Class on February 11 – 13, 2011. Well that class filled up (Jersey Angler and I took the last two spots) and Don is now offering a second class. The dates are February 25 – 27, 2011 at Fishing Creek Angler Fly Shop and Bed & Breakfast. The classes will cover wings (quill, mixed, married, herl, and flank feather), as well as Don’s proprietary wing quill method. You'll learn about body materials and techniques for working with floss, tinsel, wing quills, goose shoulder, and other materials. Don will cover proper proportions, material selection, grading, and working around and through any fly tying problems. The package price of this class is $325.00 based on double-occupancy, and includes room tax. 50% deposit required to secure reservation. Credit cards accepted. Call or e-mail Fishing Creek Angler to make your reservation. Lee’s Saturday evening steak bar-b-que with baked potato, salad, and; home made dessert. Two nights double occupancy lodging at the Fishing Creek Angler B & B. Relaxing evenings in the B & B with your favorite libation and lots of fly tying talk and informal tying sessions. Don with Plate No. 3, wet flies from Trout. Don has forty-seven years fly tying experience including a decade long stint as a commercial tyer. He has nearly 765 classic wet fly, streamer, and bucktail patterns published in the book Forgotten Flies . Many of Don’s classic wets can be seen on the Complete Sportsman web page www.rareandunusual.com. His first fly tying video, Tying Classic Wet Flies was released in November 2004. In August 2007 two more Don Bastian DVD’s were released - Advanced Classic Wet Flies , and Traditional Streamers and Bucktails . Don has a feature wet fly article in the 2010 print issue of Hatches magazine, and Don’s Ray Bergman Collection, a year-long project, started in September at www.hatchesmagazine.com Don also had a feature article on classic wet flies titled Feathered Splendor in the Fall 2006 issue of Fly Tyer magazine. He has been a fly tying instructor for over twenty five years. Again I'm getting nothing for this promotion, Don is a friend and and in my opinion one of the best Classic Wet Fly tiers out there. I apologize for the late posting of this notice but effective February 6th this second class was canceled.